AOTC is a leading Manufacturing and Maintenance Company, specialized in design, engineering, construction, fabrication, painting, testing, and maintenance for the Oil & Gas, Refineries, Petrochemicals, Power and various Industrial sectors. 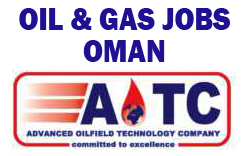 AOTC began with a maintenance and repair facility at Ghala Industrial Area in the Sultanate of Oman in 2005, and it has never looked back, growing steadily across all industries. AOTC has won the appreciation of its clients consistently as it has grown. The company is deeply rooted in Oman, and it is committed towards developing the local industry and continually improving the quality and technology of its businesses. It has committed to providing a culture that is free from accidents, and AOTC provides training, quality control, and experience to its highly-skilled professionals so that they can operate effectively in any work environment. CV Selection: Interested candidates can apply now. Documents Required: CV, Passport Copies, White Background Photo, And Previous Work Experience Certificates. Candidates must have knowledge in English and must be able to Read, Write and Speak. All other Terms and Conditions as per Oman Labour Law.